A lil’ late for my May favs, but better late then never. I wasn’t focused on makeup itself that month. I still however had lots of things I enjoyed. 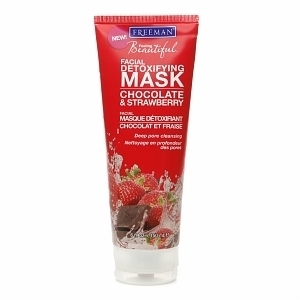 One thing I really enjoyed was ‘Freeman Feeling Beautiful Facial Detoxifying Mask – Chocolate & Strawberry’. This mask smells nice and is nice and thick. I did notice it made my skin more toned. Making my pores seem smaller I didn’t really see a difference. However it always made my face look less red and since this mask is great for dry skin types, my skin is always super soft after I use this mask. 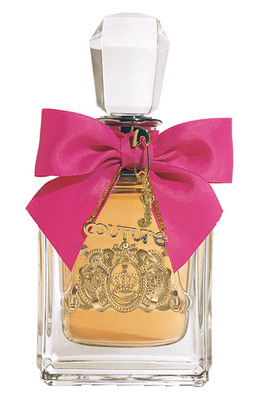 Juicy Couture Viva La Juicy! Loving this smell all month. Now that it’s warming up and sunny. I feel like this fragrance is perfect. I personally find on my skin the top notes are quick to pass. The Jasmine and gardenia really stick out to me. The over all fragrance to me is clean, slightly sweet and warm. The sandalwood and caramel seem to come forth the most on my skin. 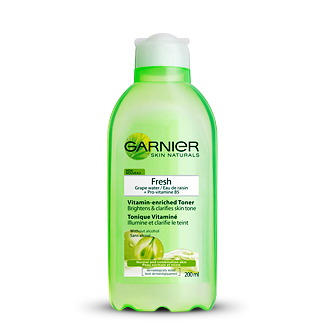 ‘Garnier Fresh Toner’ is my go to toner after switching to several different kinds til I found one I enjoyed. I seen a difference in my skin after only a few days. Skin tone was more even and bright. I didn’t find it drying at all and didn’t break me out. I have some fun news to post later today. It’s made my past few days a lil’ more exciting.